*HOT* OK Magazine just $0.19 an Issue! Here’s a HOT HOT deal on OK Magazine -for all you gossip fans 😉 Hopefully my sister doesn’t see this deal. She’s turned into a celebrity guru recently! Through tomorrow (5/1) if you head on over here to Tanga and use code MYSAVINGS at checkout you’ll score 3 Years (56 Issues!) of OK Magazine for $29.99, that’s $10/year and $0.19 an issue. You won’t beat that anywhere! Grab the deal before it ends! https://savvywifehappylife.com/wp-content/uploads/2016/09/SavvyWifeHappyLife-logo-2.png 0 0 Brandi https://savvywifehappylife.com/wp-content/uploads/2016/09/SavvyWifeHappyLife-logo-2.png Brandi2012-04-30 23:01:512012-04-30 23:01:51*HOT* OK Magazine just $0.19 an Issue! 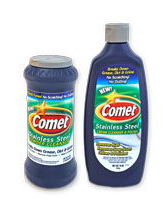 Target: Comet Stainless Steel just $0.99 with New Coupon! 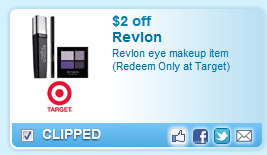 I guess I ought to make a round-up of Target deals, huh?! 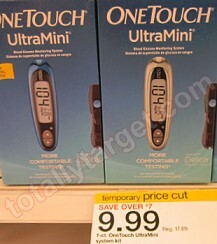 Anywhere, here’s yet another cheap find at Target! https://savvywifehappylife.com/wp-content/uploads/2016/09/SavvyWifeHappyLife-logo-2.png 0 0 Brandi https://savvywifehappylife.com/wp-content/uploads/2016/09/SavvyWifeHappyLife-logo-2.png Brandi2012-04-30 22:54:222012-04-30 22:54:22Target: Comet Stainless Steel just $0.99 with New Coupon! 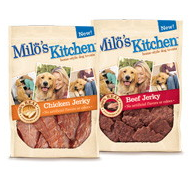 Target: Milo’s Homestyle Dog Treats just $0.67! Here’s a great deal on Milo’s Dog treats at Target. I’ve never seen them this low! Final cost = $0.67 each! https://i0.wp.com/savvywifehappylife.com/wp-content/uploads/2012/04/milos-kitchen.png?fit=189%2C179&ssl=1 179 189 Brandi https://savvywifehappylife.com/wp-content/uploads/2016/09/SavvyWifeHappyLife-logo-2.png Brandi2012-04-30 22:16:042012-04-30 22:16:04Target: Milo's Homestyle Dog Treats just $0.67! 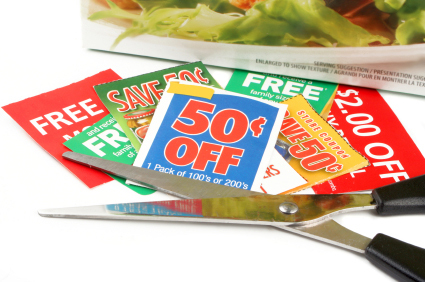 Here’s your reminder to print your coupons now because it’s the end of the month! Many of the coupons may disappear, so if you’ve been meaning to print something, now may be your last chance. New $1/2 Keebler Coupon and $0.75/1 Honey Bunches Reset! The $0.75/1 Honey Bunches of Oats coupon has also reset (under zip code 33712). If your grocery store doubles, that’s $1.50 off a nice box of cereal! I’d print all the coupons you’re interested in now because the end of the month is here! https://i1.wp.com/savvywifehappylife.com/wp-content/uploads/2012/04/keebler-and-honey-bunches.png?fit=530%2C147&ssl=1 147 530 Brandi https://savvywifehappylife.com/wp-content/uploads/2016/09/SavvyWifeHappyLife-logo-2.png Brandi2012-04-30 17:18:042012-04-30 17:18:04New $1/2 Keebler Coupon and $0.75/1 Honey Bunches Reset! *HOT* Walmart: Weed Killer just $0.47, Insect Killer just $1! There’s a new high value coupon for $3.00 OFF Spectracide® Any ONE Spectracide® Weed & Grass Killer, Triazicide® or Bug Stop® Item (Redeemable at Walmart) used zip 62946. 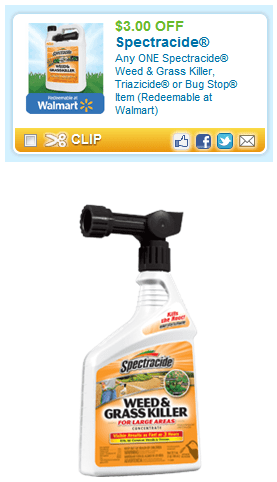 Walmart sells the Weed and Grass killer for $3.47 so only $.47 after $3.00 OFF Spectracide® Any ONE Spectracide® Weed & Grass Killer, Triazicide® or Bug Stop® Item (Redeemable at Walmart) coupon. Hopefully you find these prices at your store. And they also sell the 1 Gallon Spectracide Bug Stop Indoor Plus Ourdoor Insect Killer on rollback for $4, so only $1 after the coupon. Print this one before its gone! https://i1.wp.com/savvywifehappylife.com/wp-content/uploads/2012/04/spectracide.png?fit=277%2C482&ssl=1 482 277 Brandi https://savvywifehappylife.com/wp-content/uploads/2016/09/SavvyWifeHappyLife-logo-2.png Brandi2012-04-30 17:02:452012-04-30 17:02:45*HOT* Walmart: Weed Killer just $0.47, Insect Killer just $1! Here’s another cheap find at Target this week. Don’t forget to check the clearance as well! 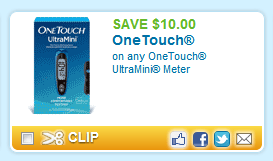 Target: Free OneTouch UltraMini Meters! Yay! We can get them for FREE at Target too! These are great to donate, especially to the nursing home, local firehouse, or to someone you know that uses them. https://i0.wp.com/savvywifehappylife.com/wp-content/uploads/2012/04/one-touch-meter1.jpg?fit=217%2C244&ssl=1 244 217 Brandi https://savvywifehappylife.com/wp-content/uploads/2016/09/SavvyWifeHappyLife-logo-2.png Brandi2012-04-30 16:11:122012-04-30 16:11:12Target: Free OneTouch UltraMini Meters! “Like” the X Out Facebook page to request a FREE 30 day full-size X Out acne treatment sample! Keep refreshing if it doesn’t pop up! 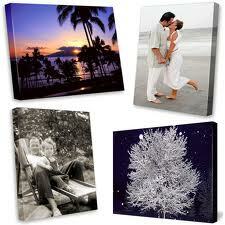 (LAST DAY) Canvas People: 16×20 Canvas for $37 + Free Shipping! If you want the smaller size (8×10) you can grab it for the price of shipping, just $14.95 but it’s not often we see a deal on the large size! https://savvywifehappylife.com/wp-content/uploads/2016/09/SavvyWifeHappyLife-logo-2.png 0 0 Brandi https://savvywifehappylife.com/wp-content/uploads/2016/09/SavvyWifeHappyLife-logo-2.png Brandi2012-04-30 16:02:302012-04-30 15:52:14(LAST DAY) Canvas People: 16x20 Canvas for $37 + Free Shipping!